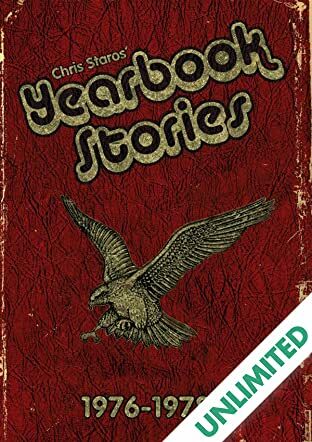 Yearbook Stories: 1976-1978 features two autobiographical stories from Chris Staros' formative High School years: "The Willful Death of a Stereotype," illustrated by Bo Hampton, and "The Worst Gig I Ever Had," illustrated by Rich Tommaso. 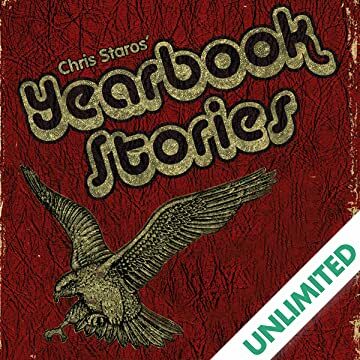 Originally featured in the 2001 Small Press Expo Anthology and nominated for the 2002 Eisner award for Best Short Story of the Year, "The Willful Death of a Stereotype" chronicles the events that led up to a critical moment in Chris' high school life. And originally featured in the 1999 Small Press Expo Anthology, "The Worst Gig I Ever Had" deals with one of the wildest rock'n'roll gigs ever -- from Chris' very first hard rock band.